A large part of the Suzuki triangle is the Suzuki parents, and the Suzuki Association provides resources to parents that participate in the success child’s Suzuki experience. Below you will find some of the links to the different resources that are helpful to parents. 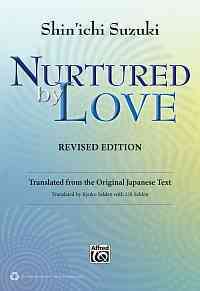 Now in a new translation, Nurtured by Love is Shinichi Suzuki’s exploration of the concepts of his Talent Education philosophy through a personal narrative of discovery and experiences. The SAA has published two books for parents, containing the best articles for parents from the American Suzuki Journal over the last 20+ years: First Class Tips and Winning Ways. Find your perfect Suzuki teacher in your area. The Suzuki Association also highly recommens reading our guide: How to Choose a Teacher. Looking for Suzuki or instrument-specific equipment? The Suzuki Association has partnered with several music companies that supply Suzuki Method books, instruments, and other music education materials. You can also review the books and material that the SAA offers directly. The Suzuki Association recommends that parents become members of the SAA, and enjoy the benefits of membership. Most parent members of the SAA choose the Associate membership level that includes a one-year subscription to the American Suzuki Journal. Find articles that relate to you as a Suzuki parent. 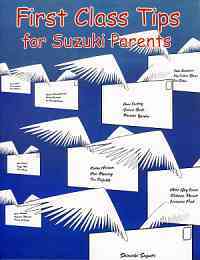 Discuss the Suzuki method and other topic that interest Suzuki parents.